Volunteer manager Marcus who found the CEO at his door one day asking about a volunteer who had recently died. “Who was she, where did she work,” the CEO inquired. Marcus was thrilled to see the CEO care about a long-term volunteer until the CEO said, “gosh, I really can’t picture her,” then proceeded to talk about the sizable chunk of money the volunteer left to the organization. Part time volunteer leader Casey who went shopping and was caught by a chatty former volunteer who talked so long that she ended up wetting herself and the store’s floor. Volunteer coordinator Toby who spent most of her weekend sitting by the hospital bed of a new volunteer only to find out that the volunteer wasn’t really sick in a traditional way, but actually addicted to pain killers. 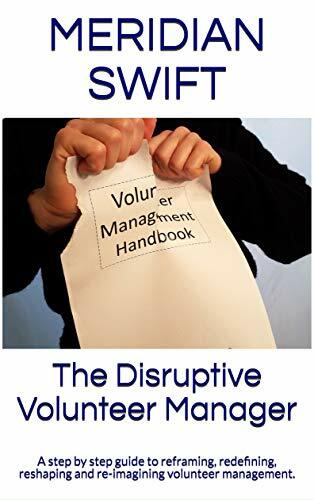 Well there you have it-kudos to all the volunteer managers out there who endure the oddball insanity of volunteer management. So, again, happy International Volunteer Manager Appreciation day! Have some cake, open all your presents and tell everyone to…. well, just enjoy! And the happiest of IVM Appreciation Day to you too Meridian! My wish is to find we no longer produce the litany of wry stories and can truly rejoice in being appreciated for the work we do. Hi Sue! Happy IVM Day to you and to all the volunteer managers out there! 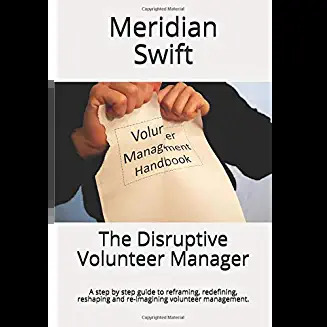 Some of you carry the title, “Volunteer Manager,” some work with volunteers as “part” of your job and some of you take it upon yourselves to make sure volunteers are treated with professional courtesy. Hopefully, at the end of the day, you see your tremendous accomplishments and the craziness does not deter you from the noble intent in your hearts. If no one celebrates you today, please know that you have a community of folks who do understand the challenges you face and do not hesitate to reach out to any of us. We are family.